Nearly all Millennials will find themselves in control of personal or family finances at some point in life. Unfortunately, recent studies indicate that only 8% of Millennials have a high understanding of basic financial concepts. That’s where we come in. 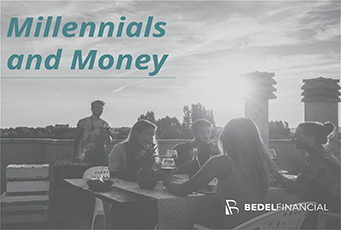 We created our Millennials and Money eBook to guide young adults through their early years of financial independence, helping to set them up for a lifetime of financial success. Nearly every woman will find herself in total control of her finances or her family’s finances at some point in her life. Do you know what it takes to achieve financial success? Financial issues are tricky to navigate during divorce negotiations. Your emotions may be running high and your energy level low, but it’s critical to make well-informed decisions during this time. What you agree to in the divorce negotiations will have a lasting impact on your financial situation. 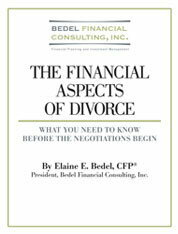 “The Financial Aspects of Divorce” is a guideline for issues to consider and how to make informed decisions at every step in the divorce process. 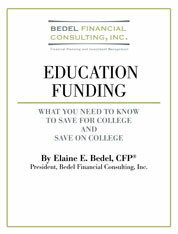 What You Need to Know to Save For College and Save On College The cost of attending college continues to rise and there is little we can do to alter this trend. If you are planning to assist with education costs for your children, you'll not only have to start saving earlier but you'll have to save smarter as well. “Education Funding” covers the pros and cons of the most popular savings vehicles. It also provides information on funding sources and gives you some financial strategies that can help your education funds go further.